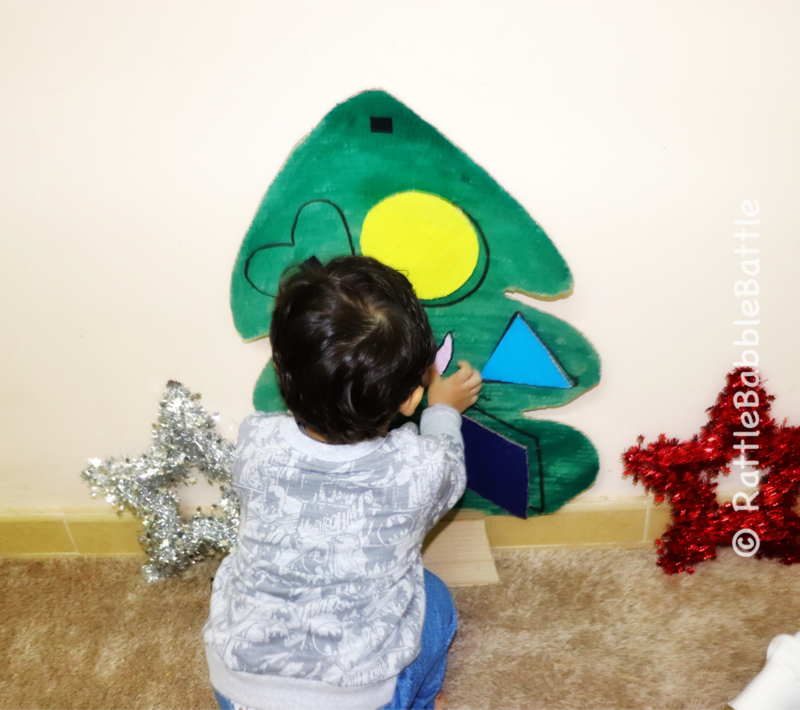 Usually every year we decorate a small tree as a part of our Christmas decorations but this year I wanted it to be little more as I have a little helper.And wanted to keep it easy enough for N so that he would enjoy it. 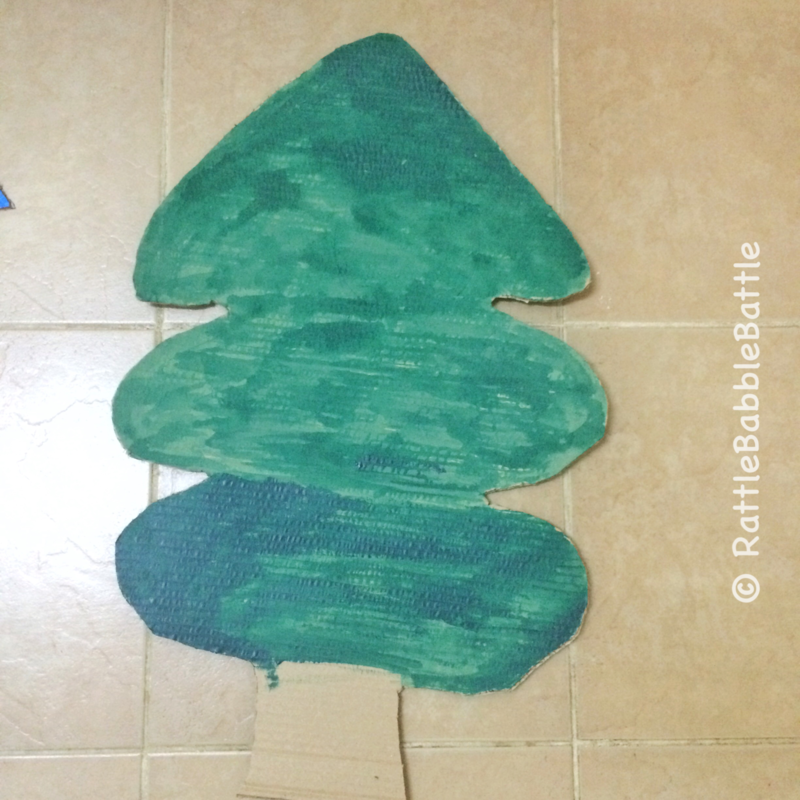 I kept the craft very basic and easy because more than beautiful and finished decorations it should be easy for a two year old.And very importantly I wanted it to be a best out of waste project.So that instead of buying a fake plastic tree we can use the waste and be eco friendly. 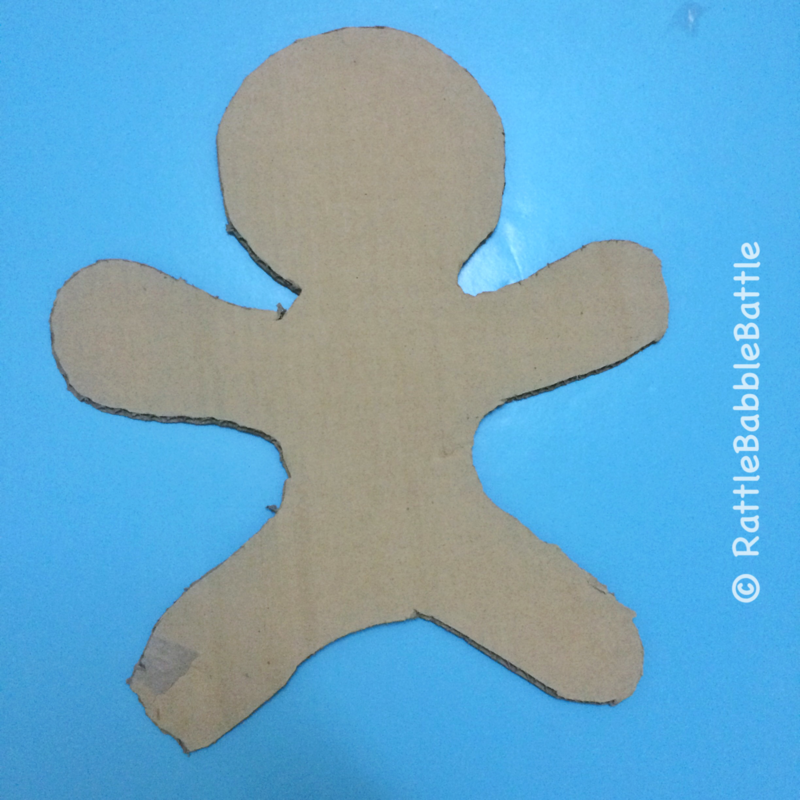 Take an empty carton and cut it in the shape of ginger bread man. 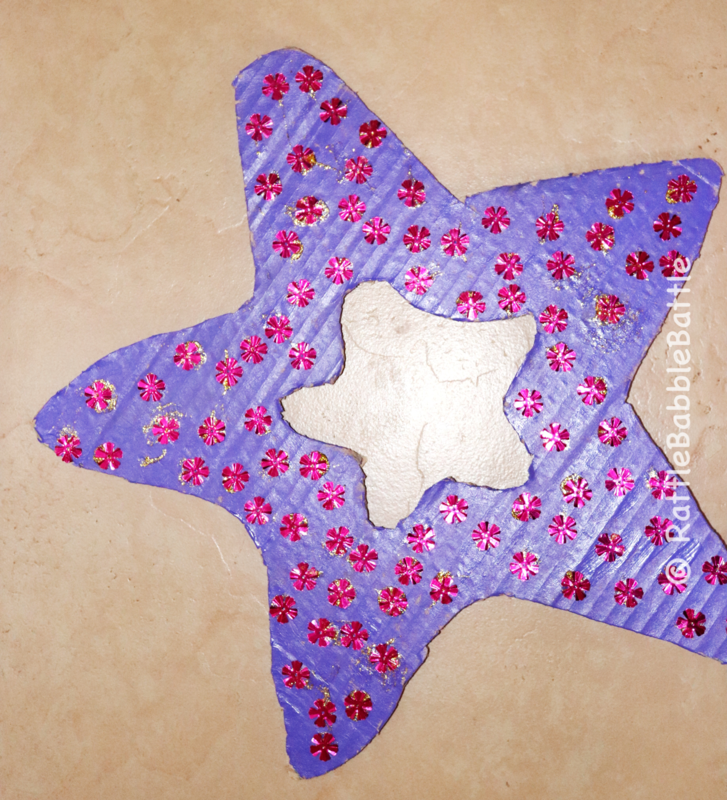 And decorate it with applying glue on the sequence, stars or any decorative item you come across the stationery store. 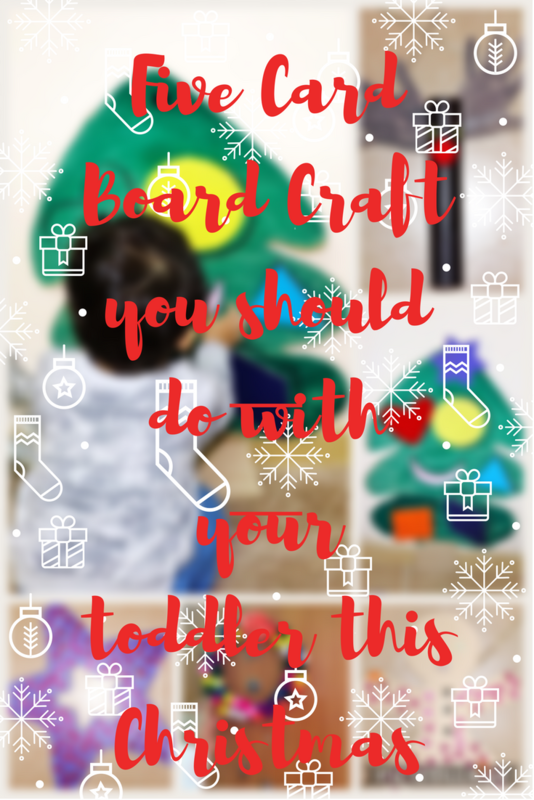 Put your hands on the card board and draw your hands, cut it with the help of knife.Your hands are the horns of reindeer. 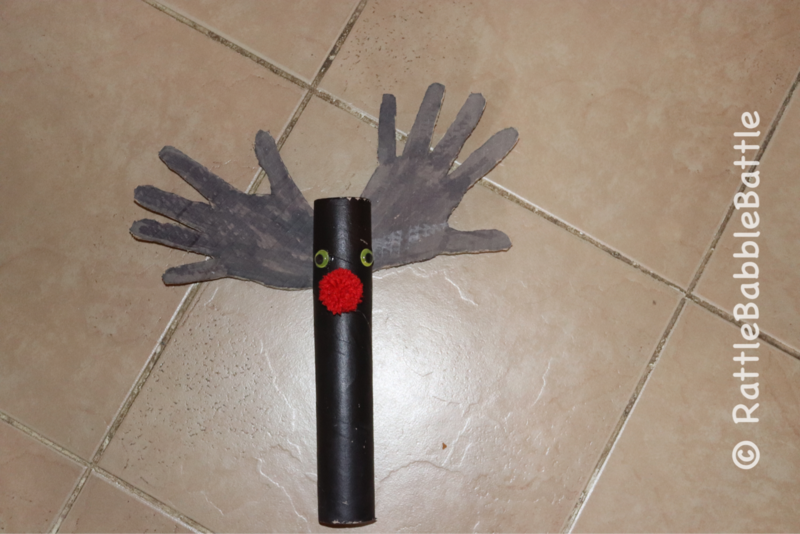 Paint both the horns and the toilet roll brown in colour or else you can leave colouring as toilet roll and cardboard both are brown in colour. 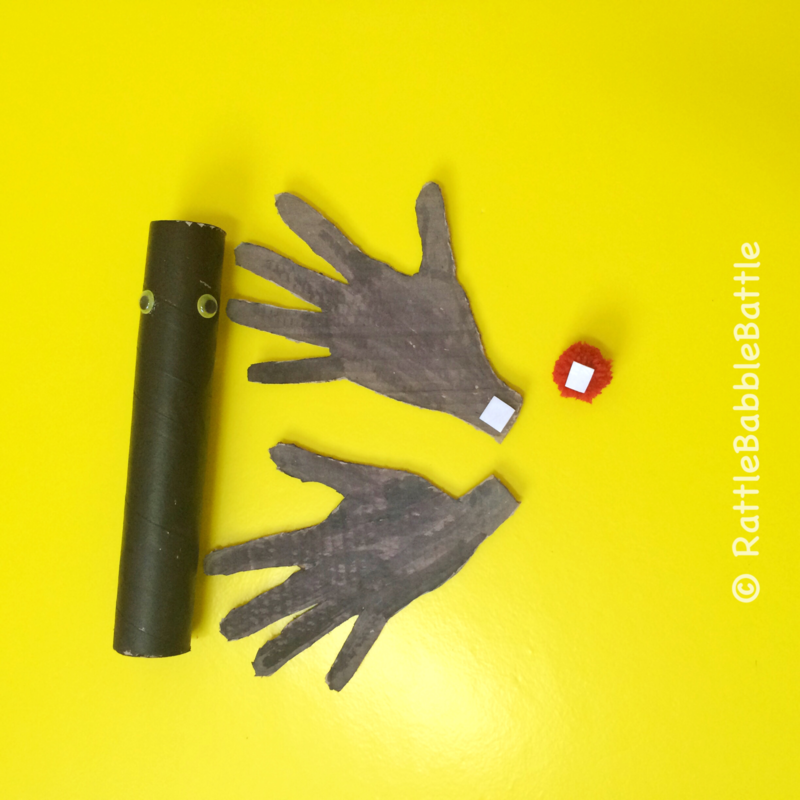 Use a red pom pom stick it with double sided tape. 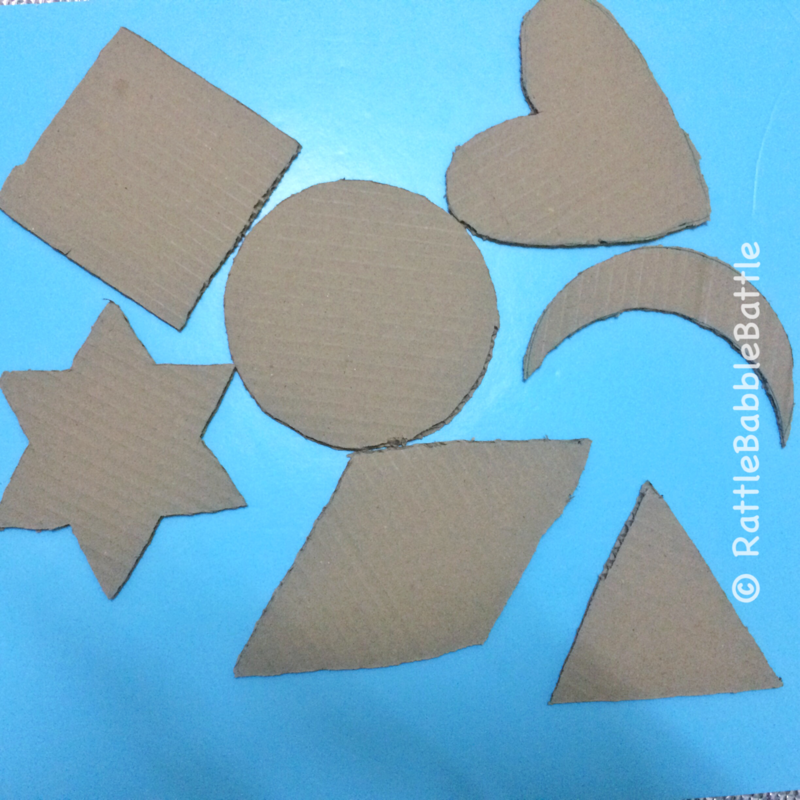 Cut the cardboard in a circle I have used a plate to draw the circle as I don’t have a compass.Waiting for N to grow to bring back my school time memories of compass and Protractor.Gosh ! I have even forgotten the names of my geometry instruments. 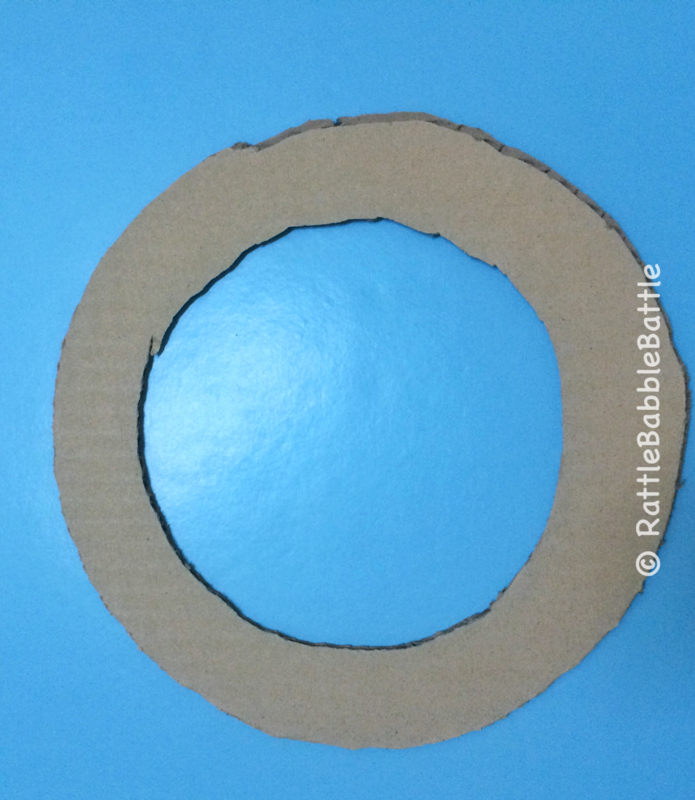 Anyways,Make a bigger circle and draw a smaller circle inside it. 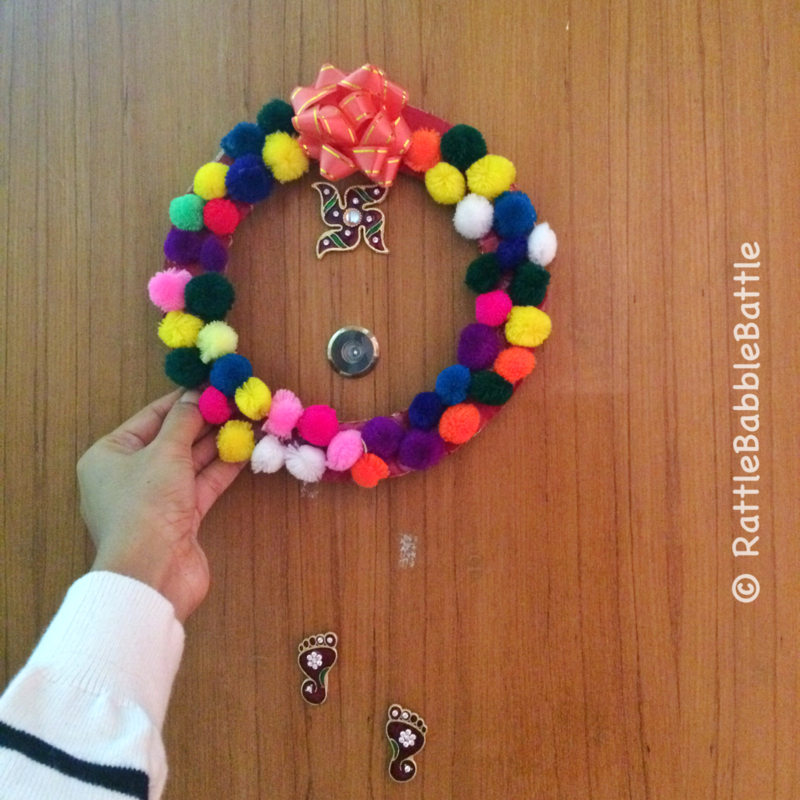 Cut it to get the base of the wreath. 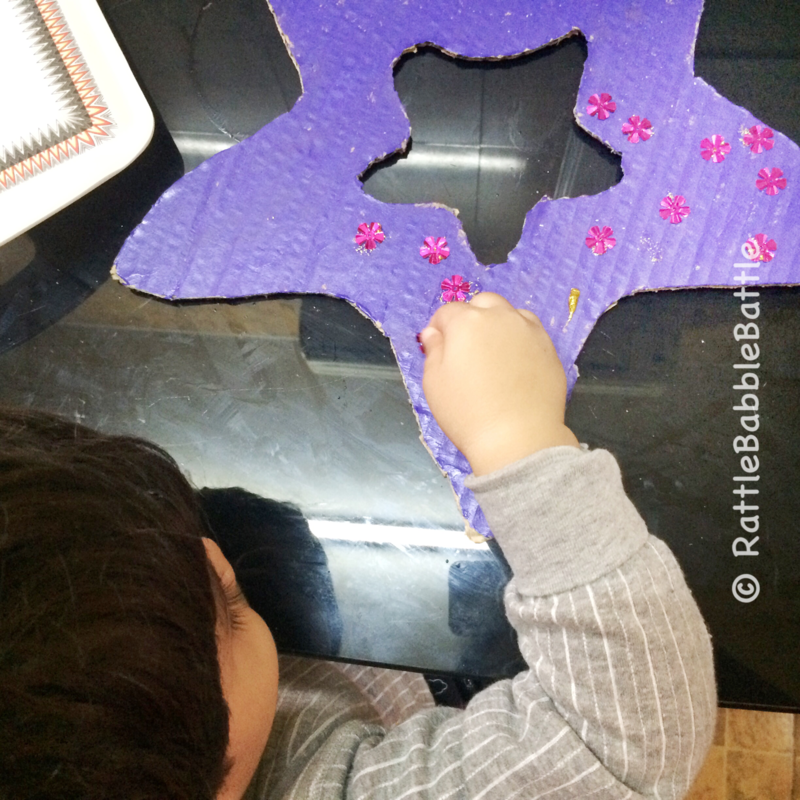 Again apply the glue all over and let the toddler stick the pom pom all over it.N enjoyed sticking pom pom and when he was bored which honestly was just towards the end I did the finishing. 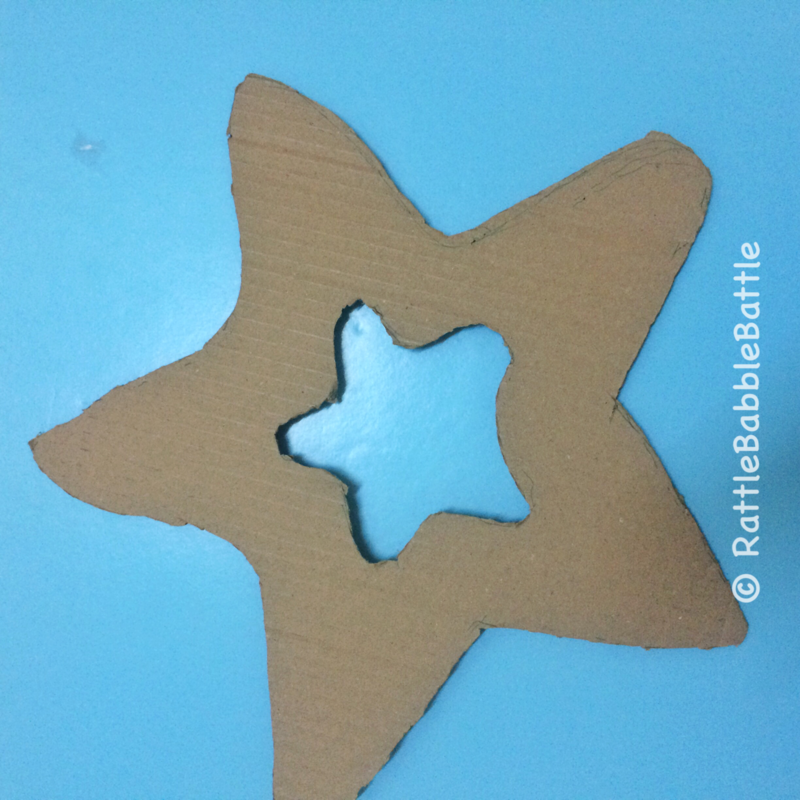 No matter what I do I find it difficult to draw a star , so I simply draw two over lapping triangle to get my star.Did the same here and mad the cut in the centre to give it a more starry appearance. 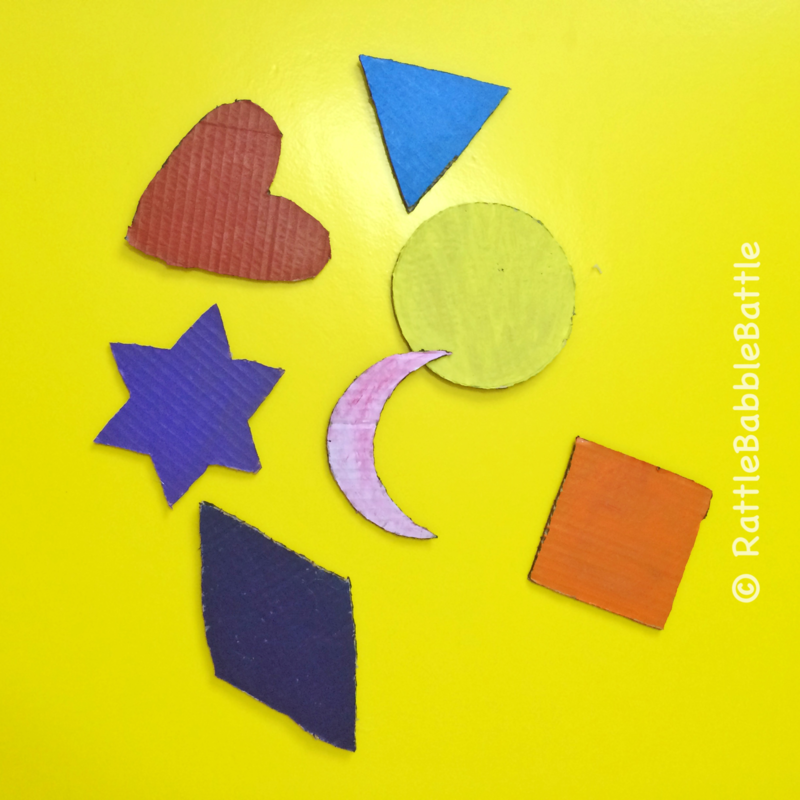 Colour it with any colour of your choice. 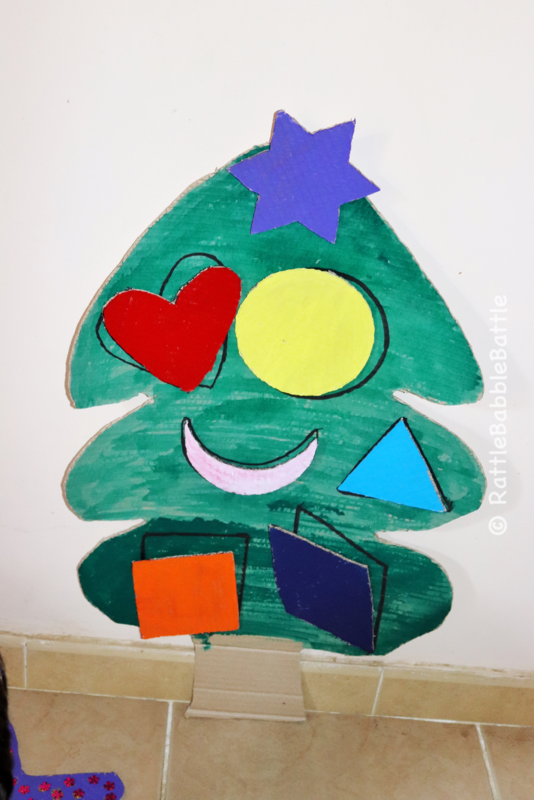 So this one is our first Christmas tree of this season yes we have planned few more and hopefully we would be able to do it. 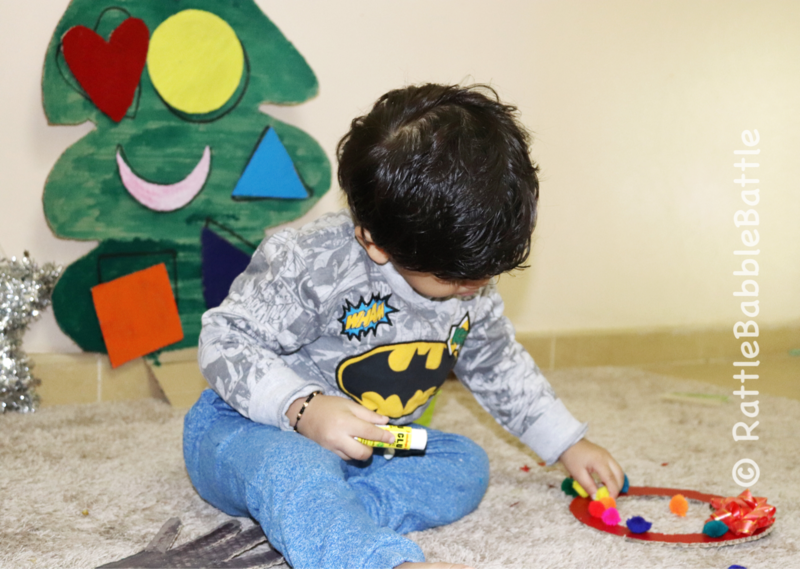 Cut the cardboard in the shape of a Christmas tree and colour it green.Let your toddler colour it you can give the last coat to make it presentable. 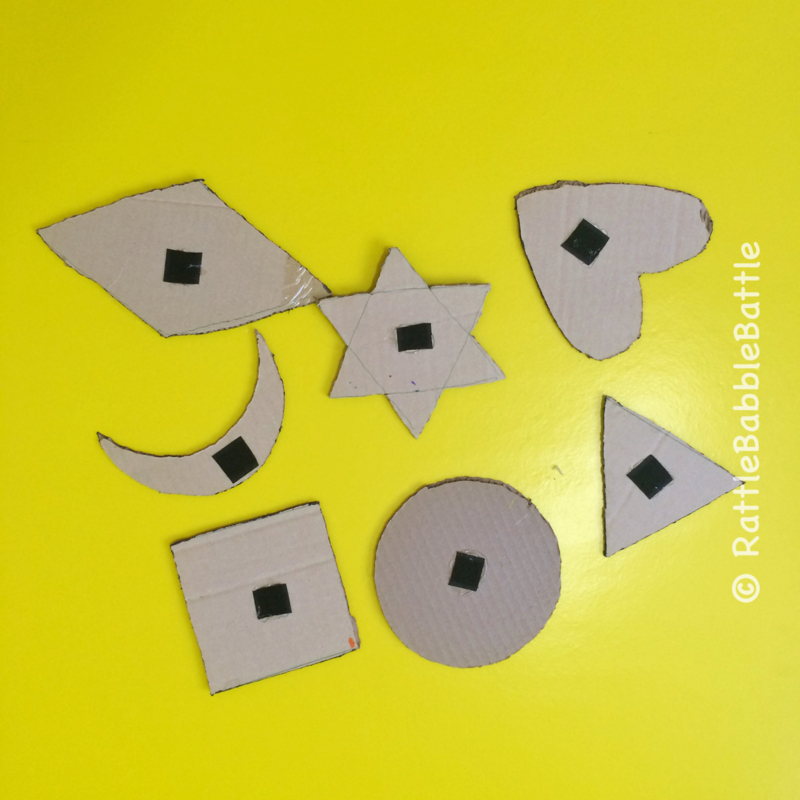 Cut few shapes like circle, crescent ,triangle as decoration for the tree and a star for the top. 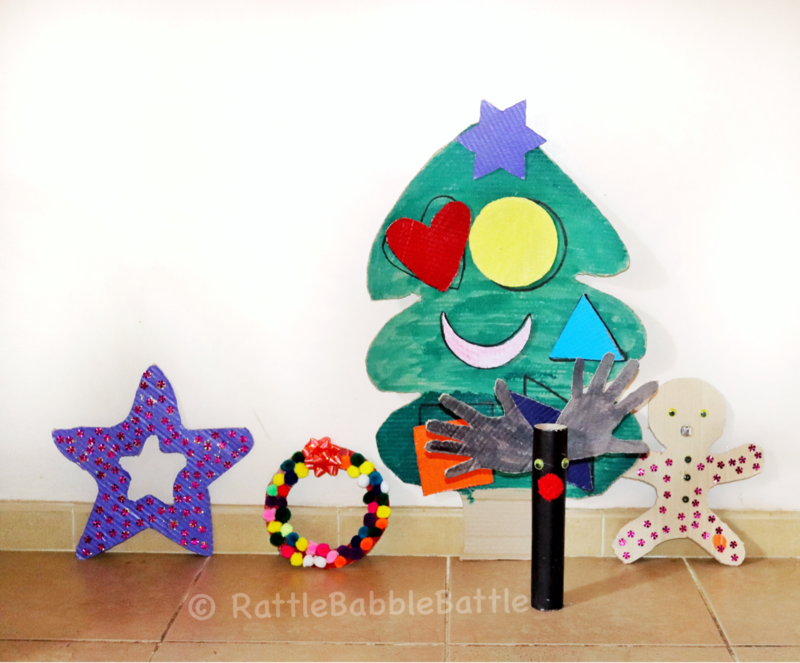 Draw the shapes on the tree and cut the shapes from a different piece of cardboard.Stick velcro with glue gun. 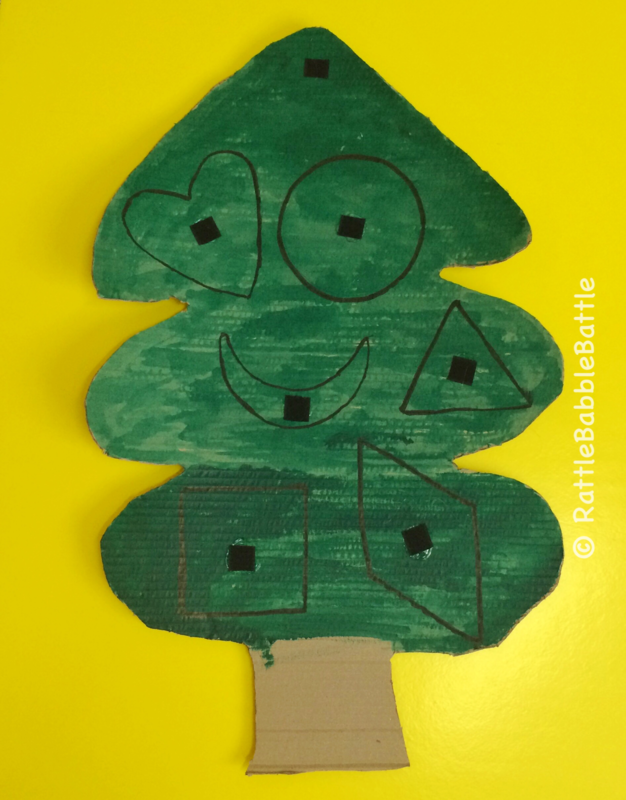 N loves this tree and this is his shapes tree. 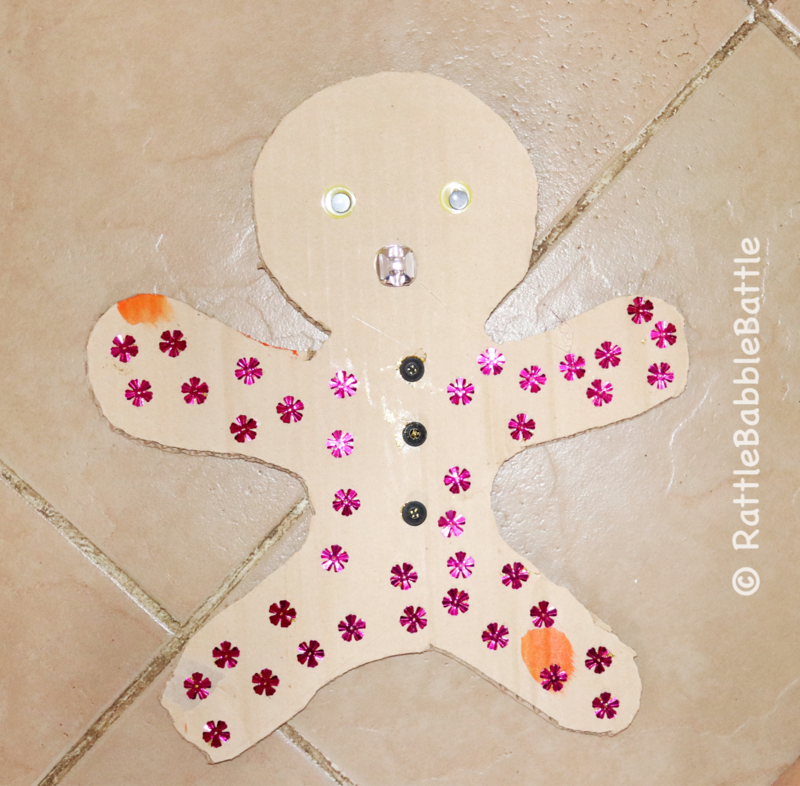 While doing the craft you can tell the various stories associated with it and about Christmas and the joy of giving.